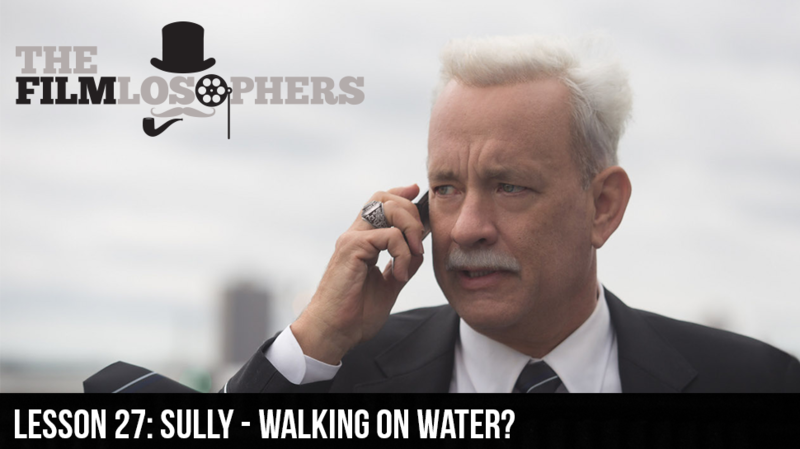 Lesson 27: Sully – Walking on Water? The Filmlosophers, Eddie Villanueva and Chad Riley, review Clint Eastwood’s latest, Sully (2016), starring Tom Hanks as Captain Chesley “Sully” Sullenburger. How does this most recent biopic stack up against Eastwood’s filmography, and what are it’s chances for generating box office sales and awards season nominations? News items include a SacAnime interview with John DiMaggio, recently released set photos from Steven Spielberg’s highly anticipated Ready Player One (2017) and a few fun updates from James Gunn’s Facebook Q&A for GotG 2 (2017).